In a time of war and revolution in the Middle-East, and under the ever-growing threat of nuclear terrorism, a Spanish army Special Forces Major returns home from a tour of duty. 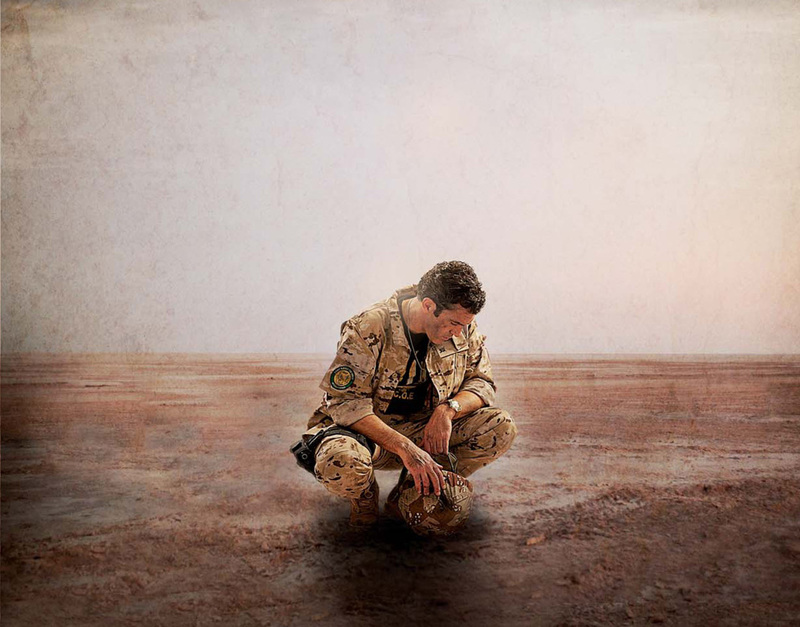 Psychologically scarred by combat trauma, all that he wants…is to be alone. He seeks refuge in the mountains of Spain. After spending three days and three nights exploring an underwater Paleolithic cave, he emerges from his seclusion to discover a silent world. There are no birds in the trees; no insects on the ground; no cattle in the fields; no people in the nearby village. Racing back to Málaga, he finds the port city to be vacant – devoid of life. The only signs of people are the clothes they were wearing when “something happened.” Yet, in the apartment that was his home, there is no sign whatsoever of his beloved wife and daughter. Hastening to the military base where he is presently quartered, the story is the same; the personal vestiges of his fellow soldiers are all that is left. Save for plant life, he is the only living thing on the face of the Earth. Or is he? XV Century. War has just broken out between the Catholic King and Queen and the Nazari kingdom. The political situation of the peninsula has radically changed and Boabdil’s arguments with his father, Muley Hacen, and his uncle, El Zagal are increasing by the day. Following an intensive battle between Christians and Muslims, Boabdil is taken prisoner and is taken to meet the Catholic monarchs and the army general known as “Gran Capitán”. The Catholic monarchs are convinced that the only way they can complete the conquest is by negotiating with Boabdil. They offer him a peace deal: his help to conquer Granada in exchange for his freedom and kindness towards his people. Only Boabdil can free his people from the fanaticism of either side. Only Boabdil can save his people from a massacre. His mother Aixa puts pressure on him and he finally accepts the pact. But Boabdil’s father suddenly dies and although El Zagal attempts to replace him, he is forced to flee to Malaga when Boabdil appears in Albaicin with his troops, marching into the Alhambra with flower petals being thrown at his feet. However, the Catholic Monarchs led by General “Gran Capitan” want to take their conquest even further and capture their most hated enemy, El Zagal, thus breaking the pact by seizing the cities of Marbella, Ronda and Malaga, where a barbarous massacre takes place. Boabdil has to face a harsh destiny, and although he is a humanist and a pacifist at heart, he cannot give in and decides to fight against fate, against the Christians’ power, against his own blood and even against his own beliefs. A production of Green Moon Producciones.